For my family, the entire month of July is one big party. Our Brazilian family comes to visit, Summer is officially here in all its blazing glory, and we soak up every moment we can get. 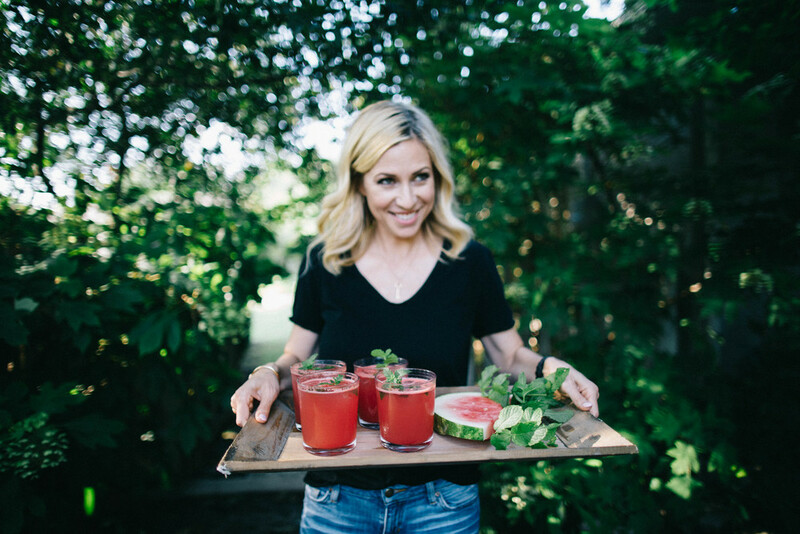 Between trying to stay healthy, hydrated, and simply just keeping cool, this juice has become a favorite of the whole crew. It's super simple, so delicious, and can even be frozen for Popsicles. You can also omit the salt from the recipe and serve them in glasses with a salted rim. Perfect for a dinner party or brunch! I love delicious foods but when you pair them with tons of nutritional benefits- that's my sweet spot! 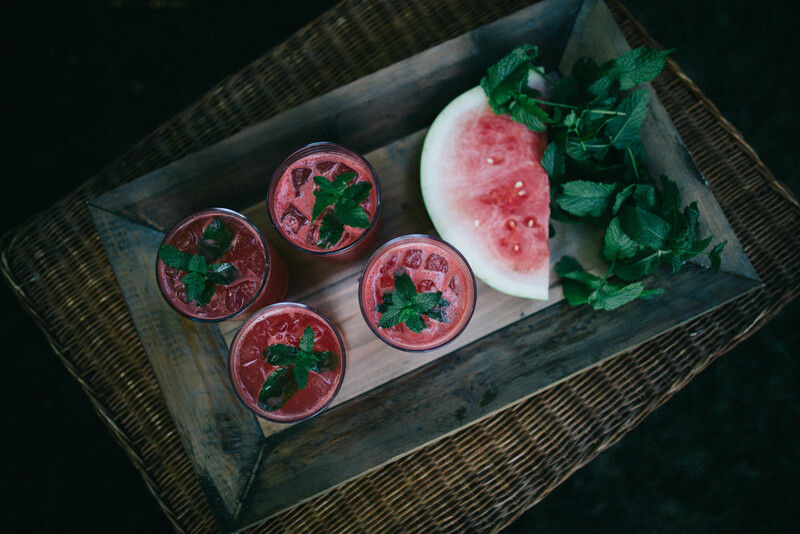 The watermelon in this juice means it's an anti inflammatory and full of antioxidants. 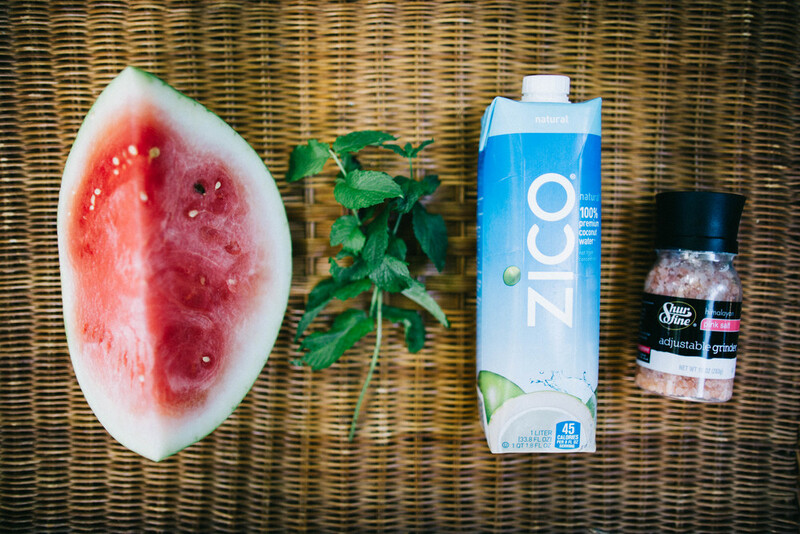 Juice the watermelon seeds as well and you've added iron and zinc! Coconut water is an essential in life. Seriously. It's anti aging, aids in digestion, increases metabolism, clears + tones + moisturizes your skin, suppresses appetite, boosts hydration, and reduces blood pressure... Yes, yes, yes, and YES! I should be buying this goodness by the case! Sandwich in the mint leaves between the slices of watermelon. This keeps the mint from sliding through, unjuiced. 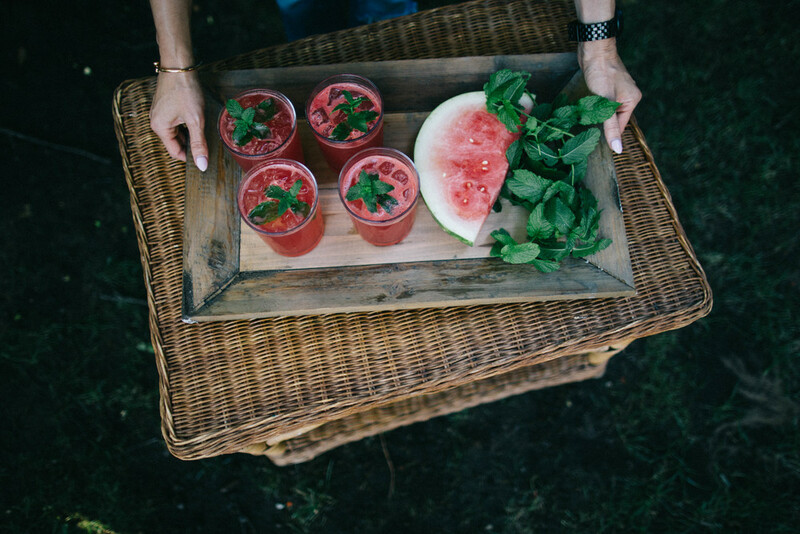 Pour over ice into individual cups, garnish wish mint leaves + enjoy!